Gov. Paul LePage used an address at a Portland Chamber of Commerce breakfast to blame Democrats for what he calls pervasive gridlock in state government. But the governor, who's campaigning for a second term, also used the occasion to propose two new policy initiatives. The governor told the business group about what he considered victories during his administration, like the lowering of state income tax rates and reform of the state pension system. He also talked about what he considers failures, such as welfare reform. But he also gave a glimpse at what he might want to do in a second term when he presented a couple of new initiatives during his comments. The governor says Maine needs to do more to attract young professionals to meet the workforce needs of the state. He says if re-elected, he will propose a student loan forgiveness program. "So if you come to Maine, and you study here in Maine and you live in Maine, we will help you pay your student loans off," LePage said. "I believe that is a major incentive to young people." LePage says student loan debt is a significant burden for many Mainers, but he did not spell out how the plan would work, or how it would be paid for. A recent study by the Federal Reserve Bank of St. Louis estimates the average student debt in Maine at $22,000. LePage says Maine's economy will need more college graduates and more skilled workers in order to compete in the global economy. And in response to a question from the audience, the governor said further tax reform will also be on the agenda if he is re-elected. He says municipal revenue sharing has not done what it was supposed to do: lower property taxes. "Frankly, I will tell you what I am going to do with revenue sharing next year: Instead of giving it to the towns so the towns can spend it, I am going to do it to reduce local property taxes directly to the homeowner," he said. "That way there, revenue sharing will do what it is supposed to do, lower taxes." The current state budget provides about $60 million a year for municipal revenue sharing. LePage did not specify how he would get that money directly to property taxpayers. There are already several mechanisms in place to lower property taxes, including exempting a portion of property value from taxes. Mark Brewer, a political scientist at the University of Maine, has been following the governor's race and says he had not heard of the property tax proposal before, and says it's an issue that will resonate with a lot of voters. "That's a win-win for the governor," Brewer says. "One, it fits with his policy goals. But two, any time you tell people you're going to cut their taxes in a campaign year, that's a very popular position. So he gets a double win out of that one." Brewer says the student loan forgiveness idea, depending on its details, also has potential to sway some voters. "I have heard him say that he wants to keep more young people in Maine, provide them more opportunities. We've heard the necessity of doing so given our demographic projections going forward. So again, I think that is a policy that some people would find attractive. And I guess I'd give the governor, you know, two thumbs up for filling that out - both of those programs. They both have the potential to be very attractive to voters." Brewer says what will be interesting is to see how the LePage campaign develops those proposals as the year progresses. He says voters want to know what a candidate is going to do, not just what they say they have accomplished. PORTLAND, Maine _ New Jersey Gov. 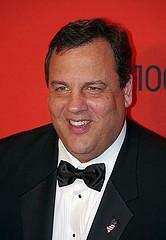 Chris Christie is heading to Maine to help raise cash for the state's Republican Party and Gov. Paul LePage. Christie, who serves as chairman of the Republican Governors Association, will attend two fundraisers in Portland on Wednesday. The events are closed to the press. LePage's campaign hopes Christie's presence in Maine will bolster its finances and rally its support base as the three-way race heats up between the Republican governor, Democratic candidate Mike Michaud and independent Eliot Cutler.